Chancellor Reddy with other campus community members during Bike Jam. 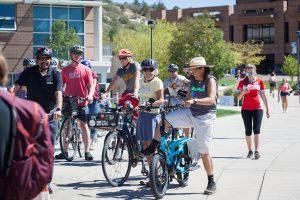 More than 200 students, faculty and staff participated in the 10th annual Bike Jam Sept. 12. Chancellor Reddy even took a cruise around campus during the festivities. The day started out with a morning ride and breakfast for those that commuted to campus. 46 riders met at nine different locations and biked together to campus. Including all other event attendees, riders completed more than 618 miles, burned 19,158 calories and avoided 426 pounds of CO2 collectively. As part of the 10th anniversary, UCCS Office of Sustainability wanted to provide more activities than ever before. Participants biked to power music on West Lawn, along with checking out demo bicycles, yoga on the lawn, inner tube Olympics, and a BMX trick show. The Gallogly Recreation and Wellness Center, S.O.L.E. Center and Parking & Transportation Services provided free ice cream and demos on how to fix a flat tire. Flying Carrot provided bike blender smoothies and local food literacy with peach yogurt parfaits. The UCCS Bike Advisory Committee, Bike Police Unit, Cycling Club, Dean of Students Office, Green Action Fund, Kraemer Family Library, Pedal Perks, and Students for Environmental Awareness and Sustainability all contributed to the event as well. Bike Jam aims to encourage alternate methods of transportation, specifically bicycles, for the purpose of living healthier and sustainable lives, according to the Office of Sustainability. 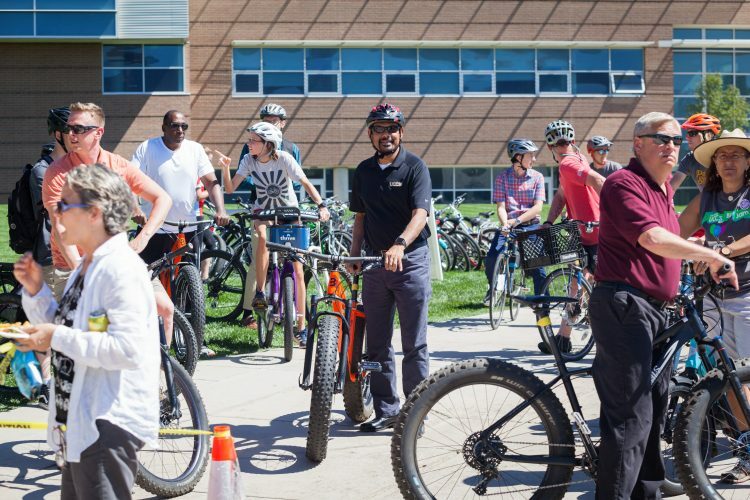 “Bike Jam is a great opportunity to engage students, faculty, and staff and connect them with the resources to support them. 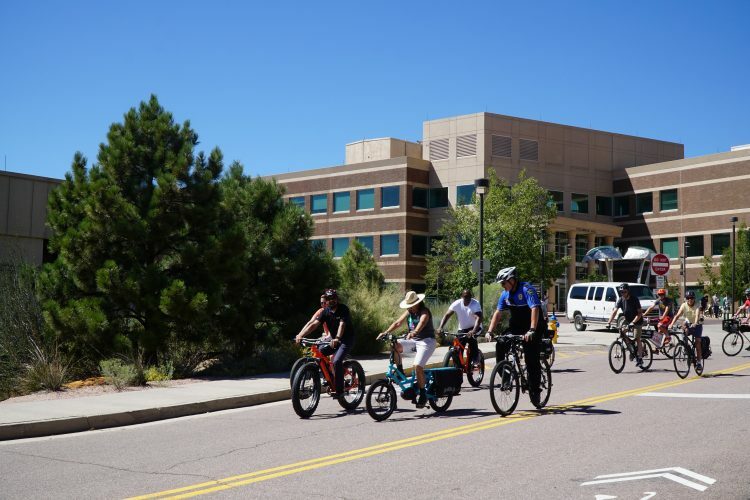 Whether they commute to campus, mountain bike the trails, or enjoy leisure rides on the greenway trails, departments and organizations, both at UCCS and in the Colorado Springs community, want to provide the best experience for each rider,” Kimberly Reeves, senior sustainability program manager, Office of Sustainability said. Lunch was provided to those who completed short passports during the event. 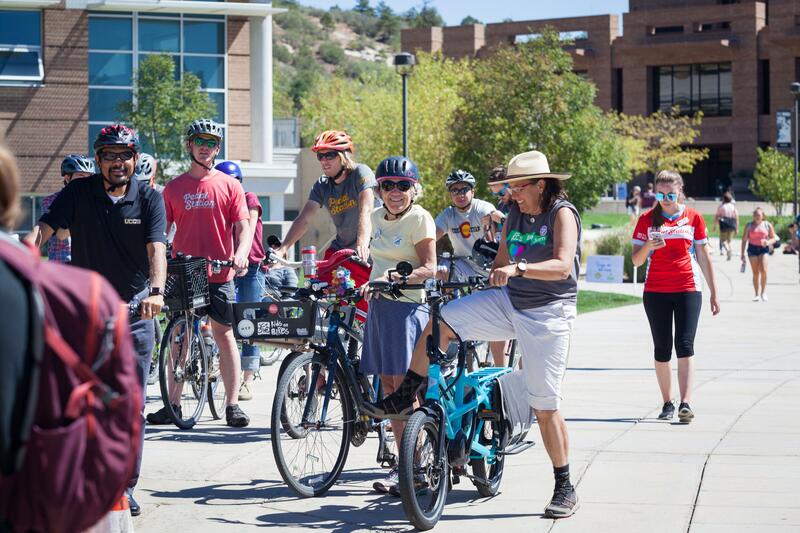 Afterwards, the campus community participated in a bike rally and cruise around campus to celebrate sustainable transportation. 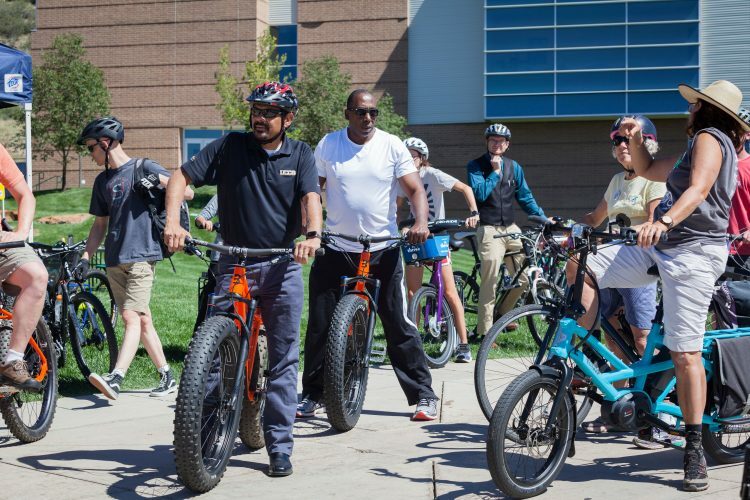 A local company, Borealis, provided bikes for the Chancellor and his cabinet for the campus cruise. 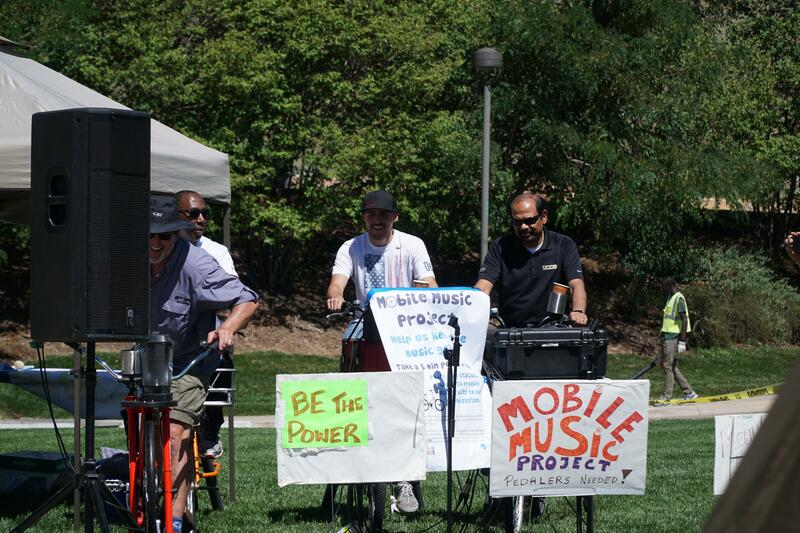 Bike Jam is just one of four major events during the UCCS Bike Month Challenge. Participants can win team prizes through Pedal Perks for the most collective rides and miles, along with individual prizes for biking to campus and passing a bike counter station. Sign up for Pedal Perks here. Bike for Bagels happens 7:30 – 9 a.m. Sept. 20 at West Lawn followed by the Bike Month Finale 12:30 – 1:30 p.m. Oct. 3 at the Sustainability Demonstration House.